Last weekend I stumbled upon Fashion Truck Canada, set up in the parking lot of Liberty Village. Food truck you say? No, no, the only food at this truck was the adorable candy bar set up front of it. Following the recent food truck craze, fashion trucks have been popping up in cities across the U.S. such as L.A. and New York. The concept has been test driven in Canada, but barely. Yorkdale Shopping Centre used a fashion truck in 2012 to promote its new retailers in the downtown core. 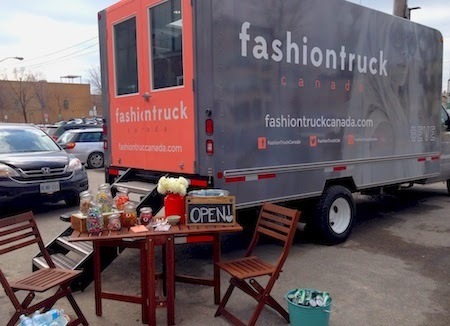 Saint John’s New Brunswick had a fashion truck. But Toronto? Not so much. The clothing and accessories are contemporary labels, the kind you can easily try on over a pair of leggings and a tank, in case Fashion Truck’s one change room is booked. “We sell a lot of LA brands — Olivaceous, De Philo, Everly, Six Crisp Days,” says Emily. You can also find pieces from Alternative Apparel, Free People, Levi’s, Henry and Belle, Chaser and Wildfox. Accessories? No problem. 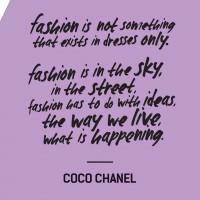 Fashion Truck carries loads – necklaces, scarves, hats, rings, headbands, sunglasses, wallets and clutches. Just don’t expect to find shoes, unless they’re Tkees. 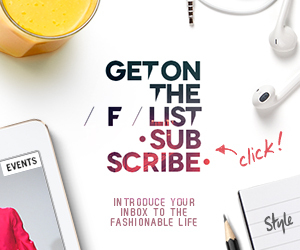 Don’t miss Fashion Truck Canada’s next stop. Follow them on Twitter, Facebook and Instagram.